The following are detailed specifications about the Holtkoetter Lighting 2508/1P1-HB/OB Swing-Arm Floor Lamp. This floor lamp can be adjusted between 40-inches and 57-inches in height and extends out to 19-3/4-inches. Featuring a tilt switch: If the lamp gets tipped over it will switch itself off. Also includes a Dimming Cycle. Press and hold the dimmer down. The lamp will cycle through all the dimming levels. Release the dimmer when the lamp reaches the light level of your choice. Includes a 100-watt halogen bulb. 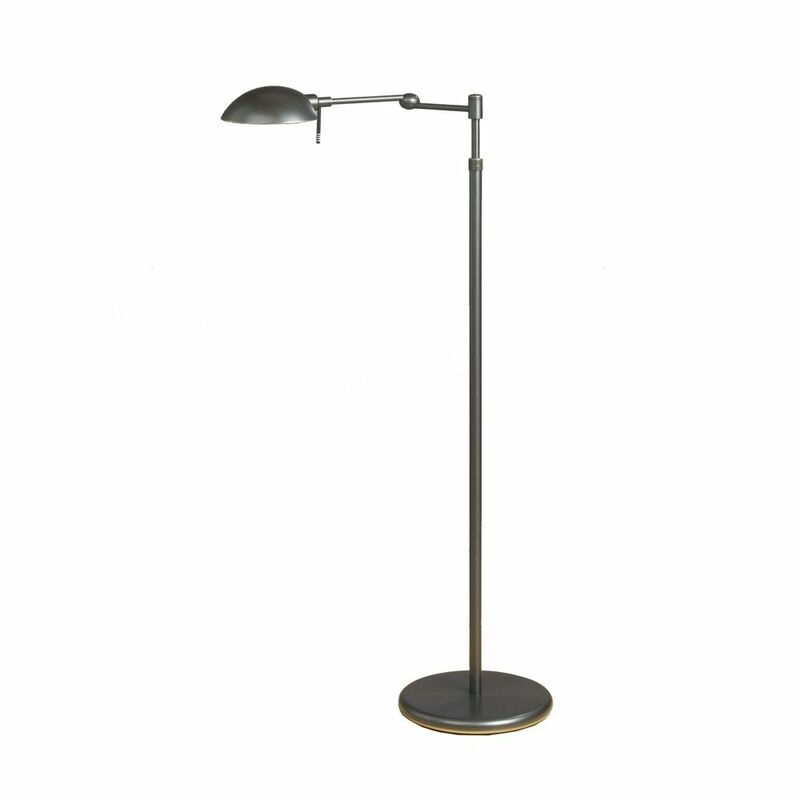 This Holtkoetter Lighting 2508/1P1-HB/OB Swing-Arm Floor Lamp is part of the $item.xCollectionName Collection from Holtkoetter Lighting. The following items are also part of the $item.xCollectionName Collection.